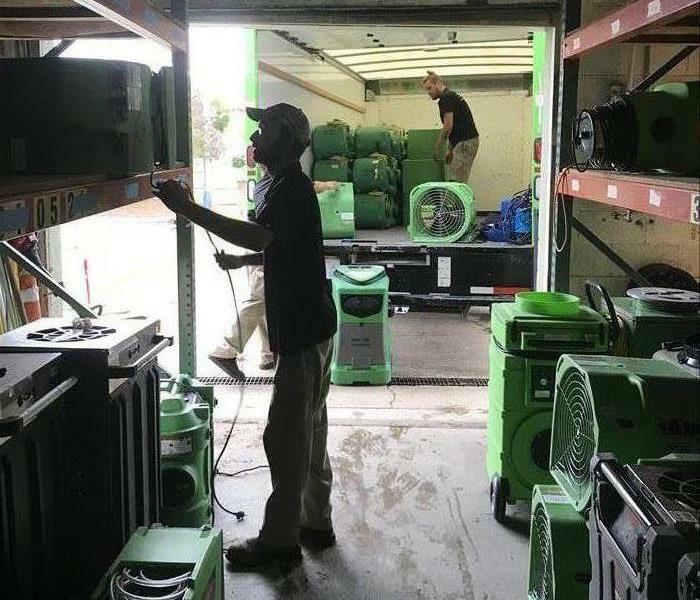 As a trusted leader in the restoration industry, SERVPRO of Norfolk West has highly trained technicians that are dedicated to responding faster to any size disaster. We provide 24-hour residential and commercial services such as water damage, fire damage, microbial growth and more. As a locally owned and operated business we are dedicated to helping you when disaster is present. Our phones are answered around the clock by our trained admins and never by an answering service, guaranteeing you the fastest and best service around. When you have water flowing through the ceiling of your home or your office has been consumed by a fire, the last thing you need is to hear a dial tone when in desperate need of help. We live and work in this community too; we might even be neighbors. As a locally owned and operated business, SERVPRO of Norfolk West is close by and ready to respond to your cleaning or restoration needs. We are proud to be an active member of the Norfolk, VA community and want to do our part to make our community the best it can be.